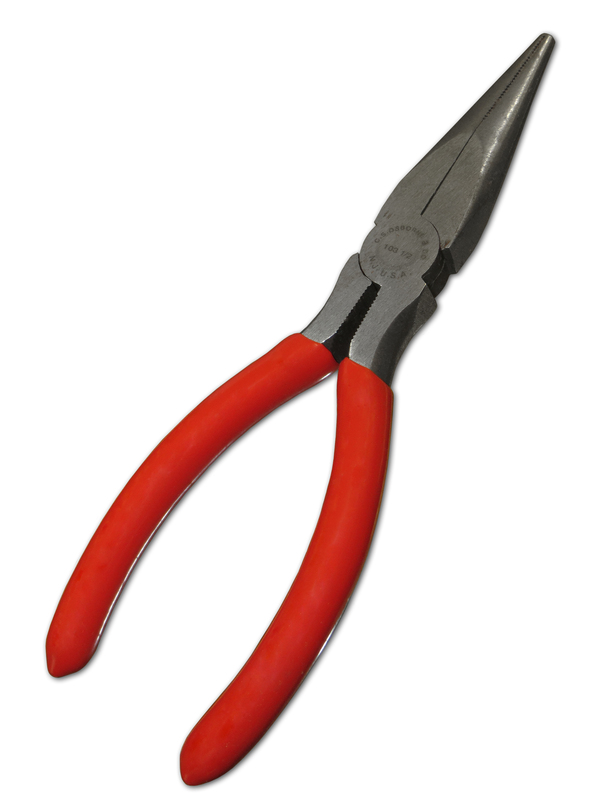 5 3/4” Lacing pliers made from forged steel. Single joint with polished jaws and black handle. Weight 3 ounce.